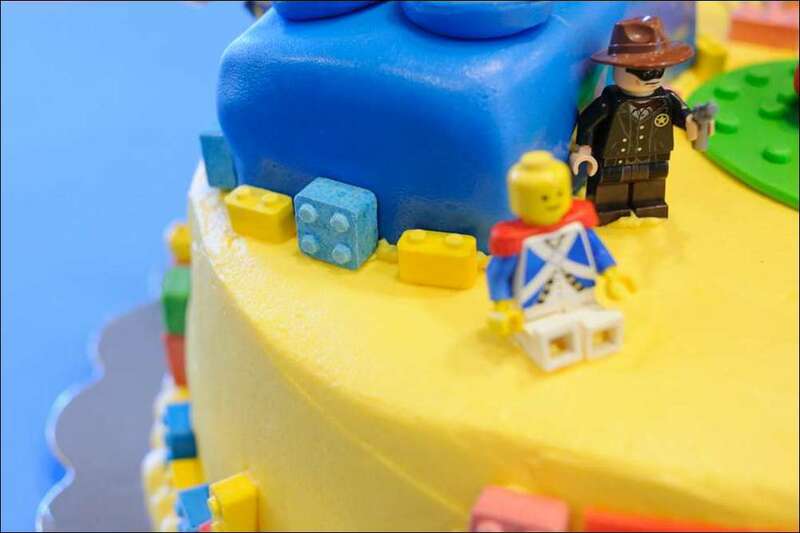 My sons are 11 and 9 at the moment and there are probably over a million and a half Legos spread around our house, so I can’t believe I haven’t made a Lego cake until this week! 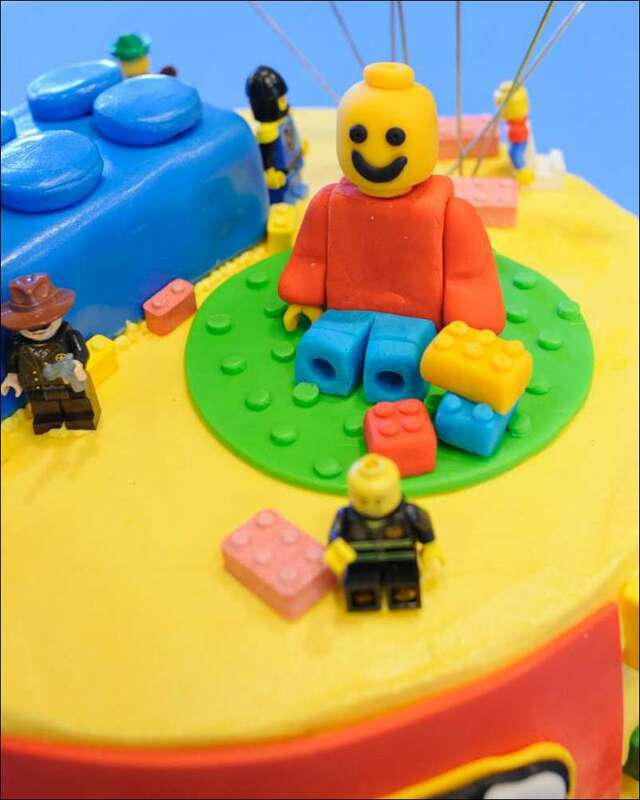 A friend of a friend asked me to do a Lego birthday cake for her son’s birthday and I gladly obliged! 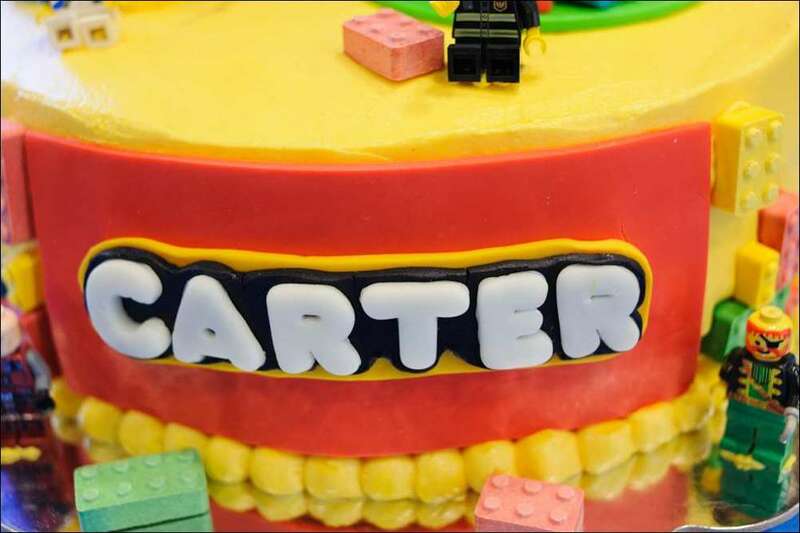 This cake was SO FUN! I started with a 10″- round double-chocolate cake with chocolate mousse filling and covered it with vanilla-bean buttercream in lemon yellow. 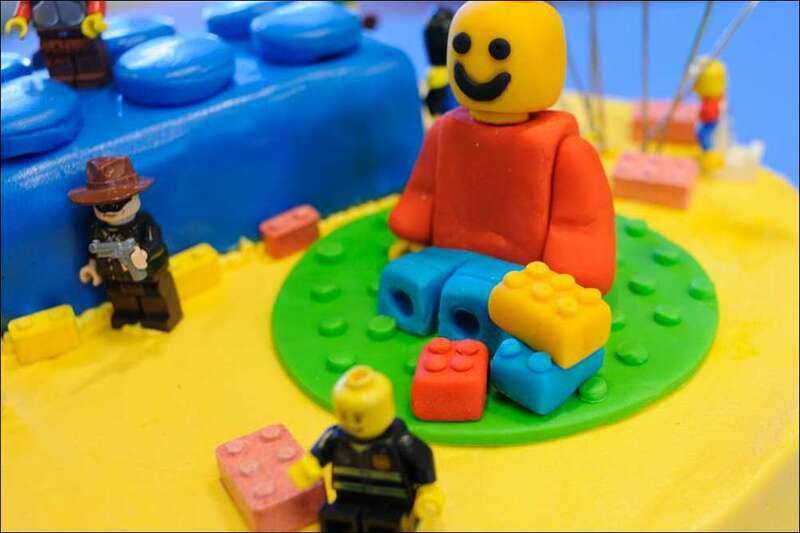 The large Lego figure, larger Lego bricks, and the round he’s sitting on are fondant, as is the name plate on the front. 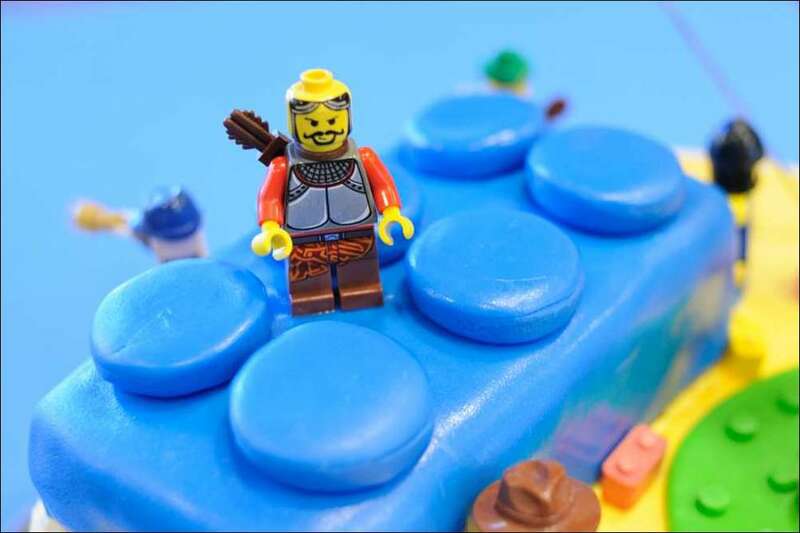 I also covered a small loaf-sized cake with blue fondant and added fondant “studs” on the top (that’s the technical Lego-geek term for the little bumps on a Lego bricks that holds them together–who knew?!). 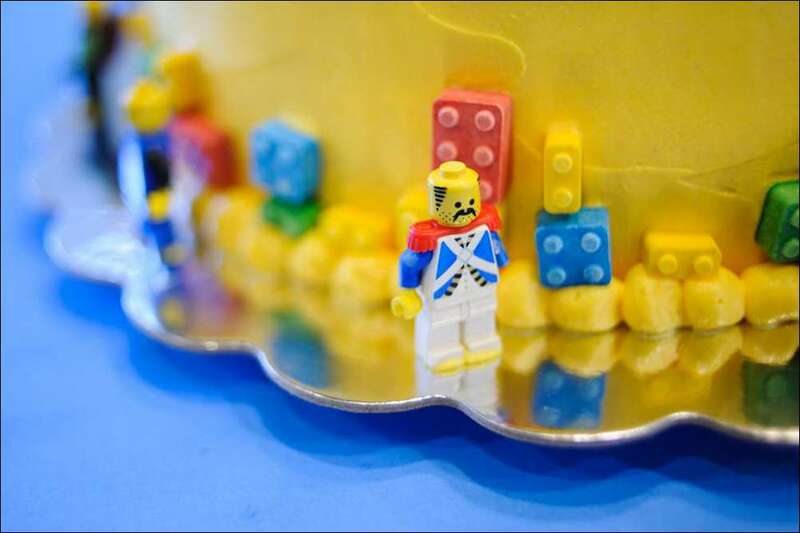 The smaller Lego bricks are candy. 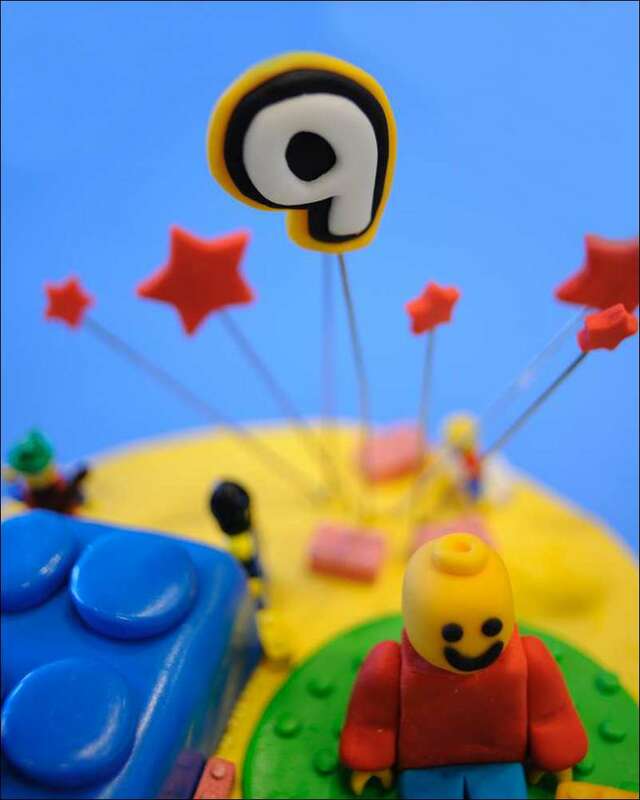 I wanted to add some height, so I put the fondant stars and “9” on wires. 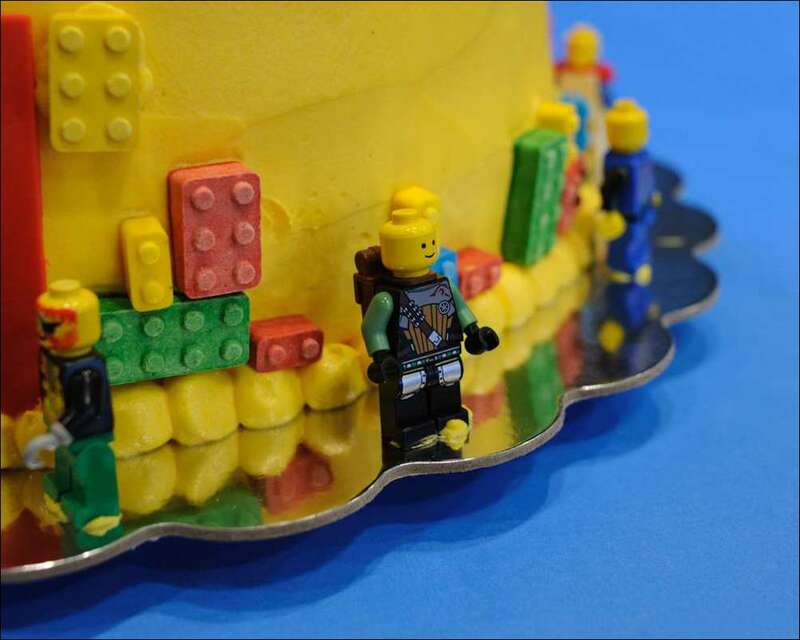 The customer brought me a bunch of her son’s favorite mini figures to go around the cake (my boys thought they were the “coolest ever” mini figs). All in all, this was a SUPER fun one to do. 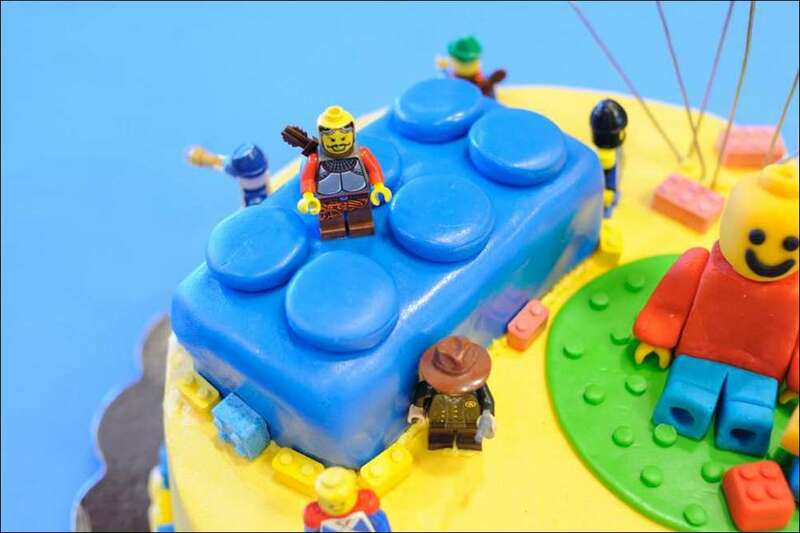 If I get more calls to make Lego cakes and cupcakes, I’m going to find a brick maker so I can make my own from fondant. 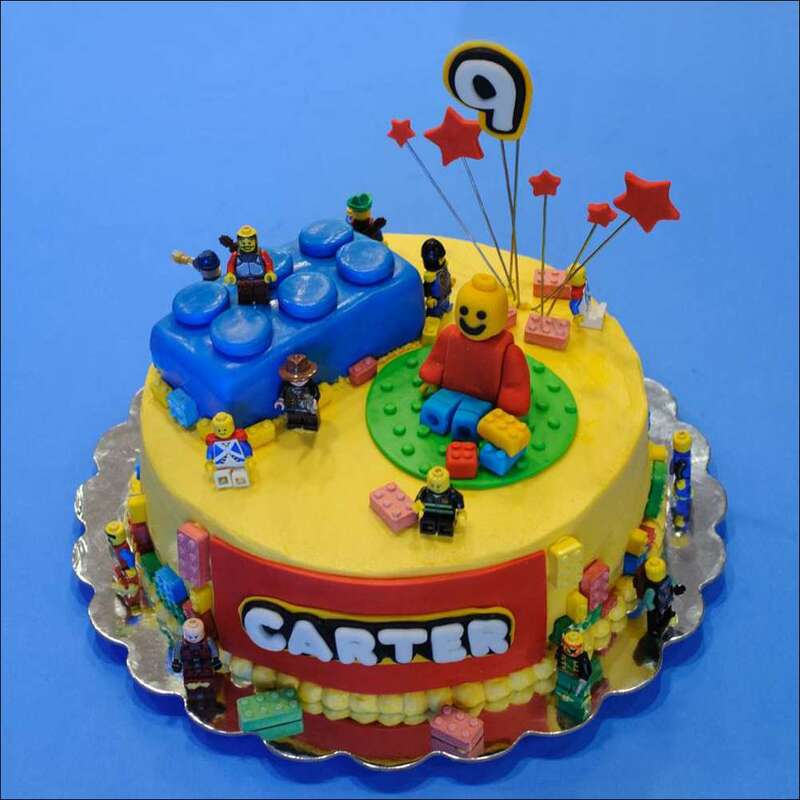 Hope you had a great birthday, Carter! 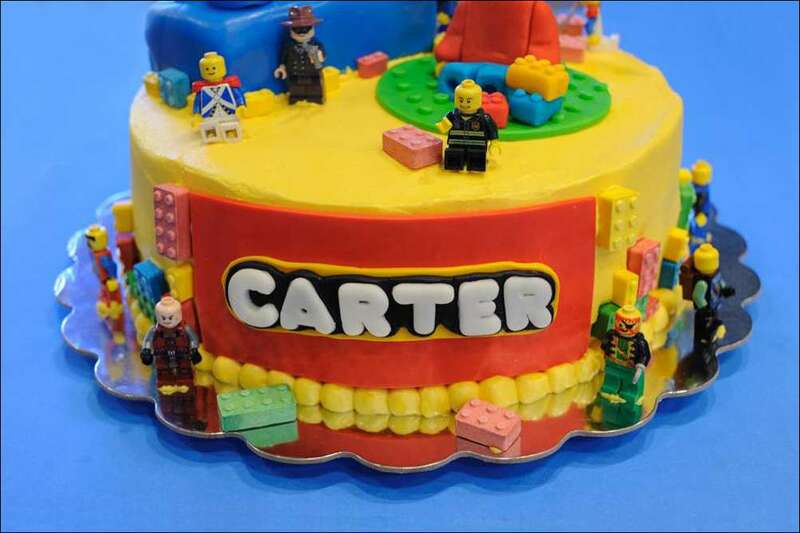 I really enjoyed making your cake! !